Thumb USB Flash drive data recovery done on broken flash drives. Damage happens when users forget to unplug them before packing laptop. 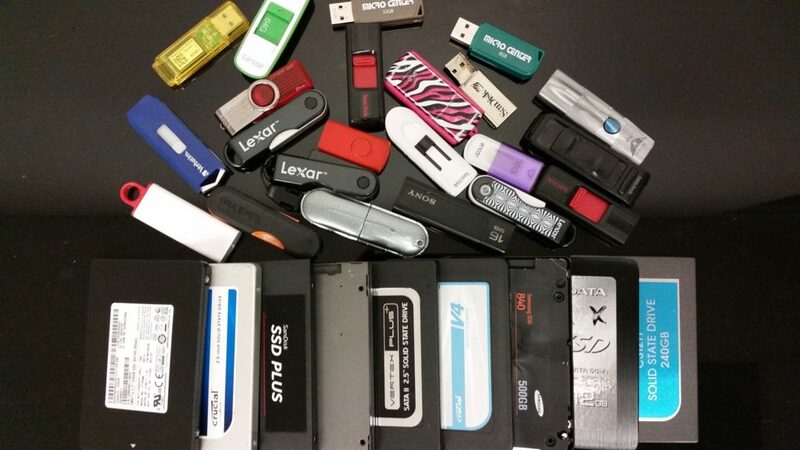 House animals are likely to help with breaking or chewing flash drives. Very common problem with flash drives are thorn USB connectors. 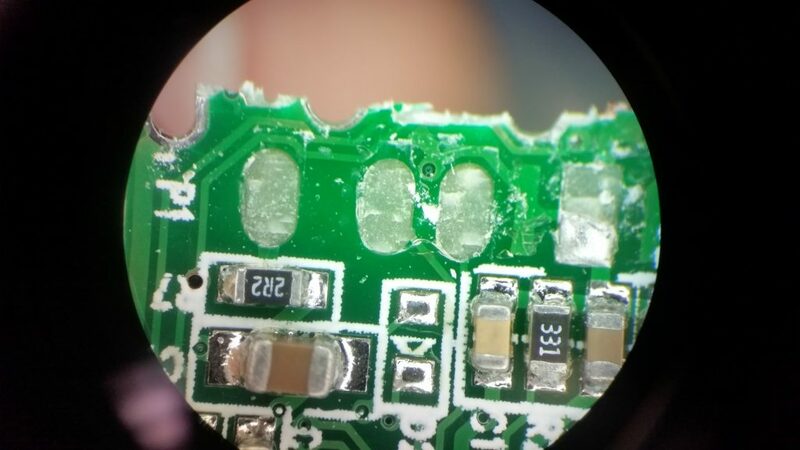 When connector bends or breaks – PCB traces can also get ripped. Many DIY attempts end up with traces damaged, even if USB connector still intact. This happens when enclosure gets preyed with screwdriver or knife. 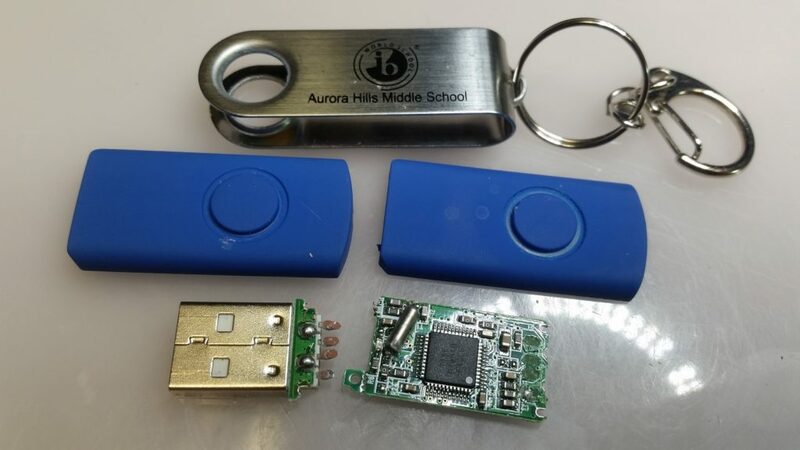 When USB connector appears to be intact but there is a problem with traces or firmware, you may see errors like: – Flash drive is not formatted, flash drive is not being recognized, flash drive recognized but unusual name or capacity, recognized properly but unable to read or write correctly etc. Checkout some of our recent work orders on photos. Solid State Drive (SSD) data recovery can also be challenging. This is due to lack of documentation or confidentiality for Intellectual Property of manufacturer. It is hard to find a simple pinout of a chip used, not to mention full datasheet with specs. Many SSD’s encrypt data by default on hardware level. Not knowing encryption key may make it impossible to recover. New features like TRIM, Wear Leveling, Garbage Collection – help to maintain SSD health, but creates difficulty in recovering deleted or lost data. Physically damaged drives sometimes must be repaired in order to successfully recover data. 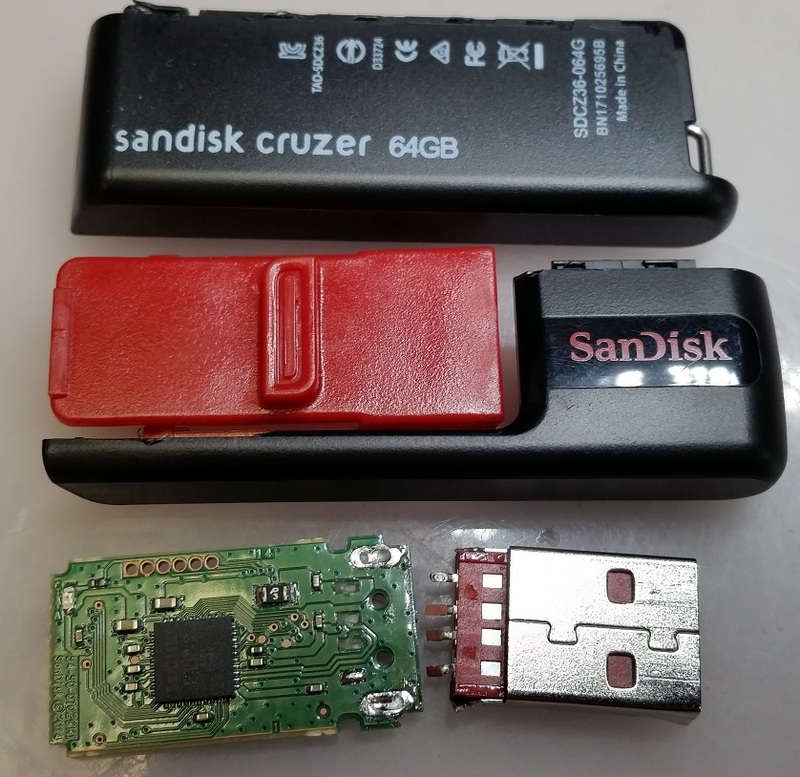 In general there are few ways to recover data from USB thumb flash drives or Solid State Drives. 1 is software way, usually caused by file system corruption due to loss of power, improper shutdown, virus attack or user errors. 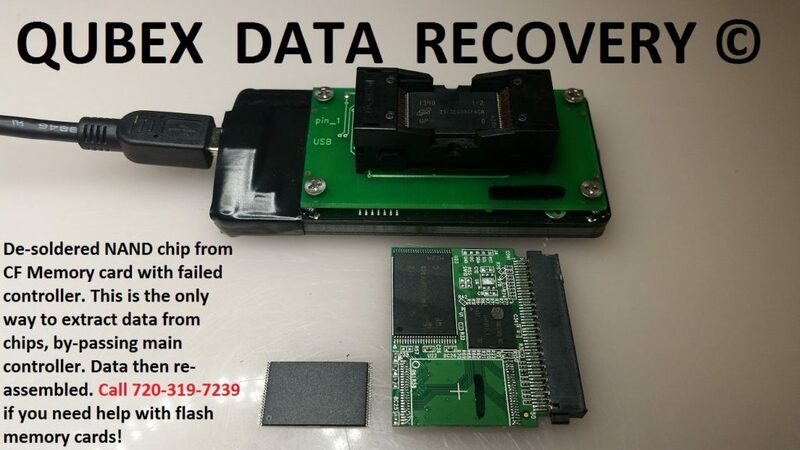 Some data recovery companies develop or reverse engineer drives firmware that will allow them to manipulate main controller registers to gain access to memory chip without desoldering NAND chips. 2 is hardware way, when there are physical or electrical damages and some PCB components need to be replaced or repaired. 3 – a chip off recovery, when nothing works and data recovery specialist will try to access memory chips directly via its interface contacts or debug ports. 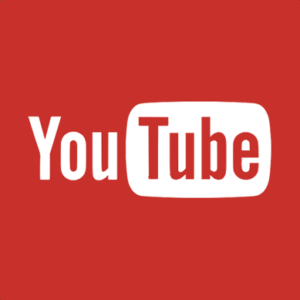 If its interesting for you, checkout last “chip off” link. It has an in depth look in to Forensics level of data recovery.